China Three Philosophies - HISTORY'S HISTORIESYou are history. We are the future. Confucianism: Around 1100 BCE, a group of people living in northwest China called the Zhou overthrew the Shang dynasty. The Zhou were tired of paying tribute to the Shang rulers, and they justified their actions by claiming they had been given the "Mandate of Heaven," or divine right, to rule China. The Zhou dynasty lasted for over 800 years, longer than any other dynasty in Chinese history. What conditions in society led Confucius to develop his teachings? The true rulers of China during much of this period, however, were feudal lords. Feudal lords were nobles who belonged to the upper class and owned land. Originally, the feudal lords were members of the imperial family and trusted military leaders who had been appointed by the Zhou king. Over time, however, the allegiance of the feudal lords to the Zhou kings grew weaker. More and more, the lords engaged in bitter disputes for wealth and territory among themselves and with neighboring peoples outside the Zhou kingdom. As a result, the feudal lords became powerful regional leaders and the Zhou kings became little more than figureheads. This time of disorder and political instability is referred to as the Warring States Period. The Warring States Period lasted for about 250 years, between the 5th and 3rd centuries BCE. During this period,Chinese rulers searched for systems that would allow them to both expand their political power and to bring peace to Chinese society. Ambitious rulers gathered large groups of advisers, scholars, and military strategists to advise them. The most important schools of thought to spring from this period were Confucianism, Legalism, and Taoism. Each was a philosophy, a study of basic truths and ideas about the universe. Who was Kong Fu zi? King Fu zi teaching proper behavior. Confucianism: Kong Fu zi, known in the West as Confucius, was born during Zhou times around 551 BCE. Although there was one ruling family, the real power was in the hands of local warlords. Each warlord ruled a feudal state. In a feudal state, land ownership, wealth, and power is concentrated in only a few hands. The wealthy land owners allow peasants to work the land in exchange for pledges of political allegiance and a tax on what the peasants produce. In exchange, the feudal lords pledge that they will protect the peasants. During this time, aristocrat-scholars, called zi (tsu), traveled from one feudal state to another, offering advice on everything from politics to weddings to war. As an adult, it was Confucius who became the most famous and honored zi. Confucius was born into a family of low-ranking nobles. Because he was a noble, Confucius was allowed an education. During this time, teachers were other nobles, and it was during his schooling that Confucius was taught about the virtues of past rulers who had maintained peaceful and stable societies. As the Zhou empire weakened and various states battled with one another for power, Confucius became sad. Brain Box: What role does Li play in Confucian thought? Confucius studied until he was the most learned man of his day. People heard of his knowledge and sent their sons to study with him. He was the first private teacher in China. Confucius taught anyone who was eager to learn. His ideas, called Confucianism, stressed the need to develop responsibility and moral character through rigid rules of behavior. After his death in 479 BCE, his followers gathered his teachings into a book titled Analects, or "Selected Sayings." The Analects became the most important source of his teachings. Confucianism is not a religion. Confucianism is a philosophy that defines proper conduct for people and for governments. Confucianism is a way of behaving, so you'll do the right things. Confucius believed that human nature was basically good, but people sometimes behaved poorly. When people acted badly, he believed, they simply needed to be taught how to behave properly. Confucius called this proper behavior li (pronounced lee). Confucius believed that if everyone followed li, society would be ordered and peaceful. What are the responsibilities of individuals in each of the 5 Key Relationships? Confucian thought teaches that a harmonious society is built on Five Key Relationships: 1) ruler and subject, 2) parent and child, 3) husband and wife, 4) elder sibling and younger sibling, and 5) friend and friend. The first four are based on relationships in which one person is superior to and worthy of the respect and obedience of the other. In turn, the superior person should treat the other with kindness and set a good moral example. Only the fifth relationship is based on equality. In addition to each person behaving properly, Confucius thought that for society to be strong, rulers must be models of virtue. Remember that Confucius' teachings evolved from a time when rulers battled one another, creating disorder in society. The goal of his teachings was to restore balance and order to a chaotic time. It's important to consider, then, that even as Confucianism demands obedience to a superior, it also calls on the superior to act in a virtuous and moral manner. In other words, the responsibility for creating a harmonious society really rests with leaders at the top of the social order. Because of that, as you might imagine, few rulers during Confucius' life adopted his teachings. During the Han Dynasty, which ruled from 206 BCE to 221 CE, however, Confucianism became the official state belief system. Because of its emphasis on loyalty, Confucian teachings allowed the Han government to have a more stable leadership. Legalism: While Legalism has no recognized founder, those who follow the doctrine believe that rulers should use the legal system to force people to obey laws. During the Warring States Period, those who followed this belief system saw disorder in society and decided that a strong, central government was the answer to China's problems. 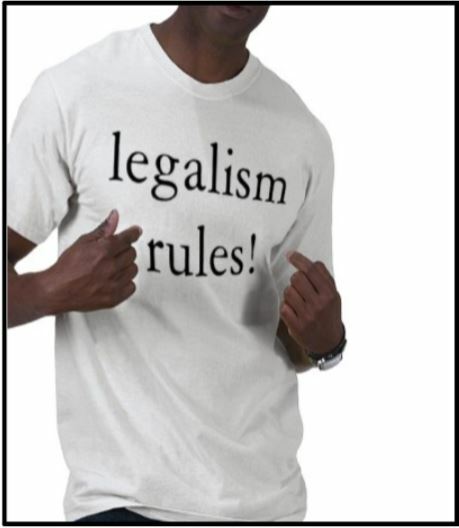 People who practice Legalism are called Legalists. According to the doctrine of legalism, what will control an evil man? A state in which the interests of the ruling class are much more important than the interests of the common people is a Legalist state. Legalists strive for a strong, central government that holds absolute power and control over the people by the threat of extreme and harsh punishment. In history, many people have been labeled Legalists. Legalists believe that human nature is wicked and that people do good only if they are forced to do it. Therefore, Legalists believe, the government must pass strict laws to control the way people behave. Legalists believe the only way to control an evil man is with the threat of violence and punishment. For Legalists, punishments must be so harsh that they make people afraid to do wrong. According to legalism, who must have absolute power and why? 1) You can obtain obedience by using government institutions to control behavior. 2) You can control people’s actions with laws and harsh punishments. 3) You can gain obedience to these laws by encouraging people to spy on each other and to report to someone in authority any wrongdoing they see. That authority should then reward the informer and severely punish the wrongdoer. Brain Box: Why do legalists want a strong central government? Advisers who believed in legalism recommended regulating every aspect of people’s lives so that they would have the discipline to work hard in the fields and on the battlefield. Legalists believe in strict laws. Legalists believe in harsh punishment. Legalists believe in firm management. because people are naturally bad. An artist's depiction of Lao Zi, the Old Master. Taoism: The third philosophy, Taoism, is said to have begun with Lao Zi. Because his name is translated as " Old Master," no one knows if such a man really existed or if the teachings known as the Tao (pronounced Dow) are simply a collection of popular beliefs. The book of Taoist teachings is called the Tao Te Jing, and the lessons contained within the book are called Taoism. They contrast sharply with Confucianism. Tao: Tao means "The Way" (to happiness). Taoists believe that a universal force called the Tao guides all things. All creatures, except humans, live in harmony with this force. To relate to nature and to each other, each human must find an individual way, or Tao. Following the Tao, individuals learn to live in harmony with nature and with inner feelings. Taoists did not argue about good or bad, and they did not try to change things. They accepted things as they were and they did not want to be a part of government. Instead, Taoists tried to understand nature and to live in harmony with its rhythms. This included the idea of yin and yang. The yin (black) represents all that is cold, dark, and mysterious. The yang (white) all that is warm, bright, and light. They complement each other and, together, the yin and the yang represent the ever changing, ever evolving forces of nature. This sounds very nice, but what is The Way? It became easier for me to begin to understand Taoism after I met Winnie-the-Pooh! There is a delightful book by Benjamin Hoff, called The Tao of Pooh. If you are familiar with A. A. Milne's characters: Winnie-the-Pooh, Piglet, Rabbit, Owl, Tigger, and Eeyore, you'll be surprised while reading "The Tao of Pooh" at how easy it is to learn about Taoism. It's also a great deal of fun, which is very Taoist, as Taoists are firm believers in joy and laughter. What is the Tao Te Jing? In the story of "The Ugly Duckling", when does the duckling stop feeling ugly? When he discovers he's a Swan. When he recognizes who he really is, a beautiful swan, he finds his Way to happiness. The Tao is the natural order of things. It is a force that flows through every living thing, as well as through the entire universe. The goal of the Taoist, exemplified in the pictures at left, is to live in harmony with nature. Only when a Taoist strikes a balance between the natural world and his or her own nature is it possible to find perfect happiness.